In addition to offering an extensive, in-depth study of Copperplate Script, Copperplate Script: A Yin & Yang Approach provides a range of exercises and drills, practice words, exemplars, and variations, and dedicates particular attention to ligatures, double letters and ampersands. As comprehensive a resource as has ever been written for this script, this detailed manual is suitable for any level of ability from beginner to advanced calligrapher. Paul trained as a Scribe and Heraldic Artist and went on to study Archaeological Illustration with a specialism in Ancient Writing Systems. His illustrative works on Egyptian Hieroglyphs are housed in the Metropolitan Museum, NYC and he serves as a scribe in the Crown Office, writing official documents when people become ennobled. Paul has also built one of the largest social media followings in the industry, with nearly 86k followers on Instagram* alone. Speedball is shipping this remarkable resource now. 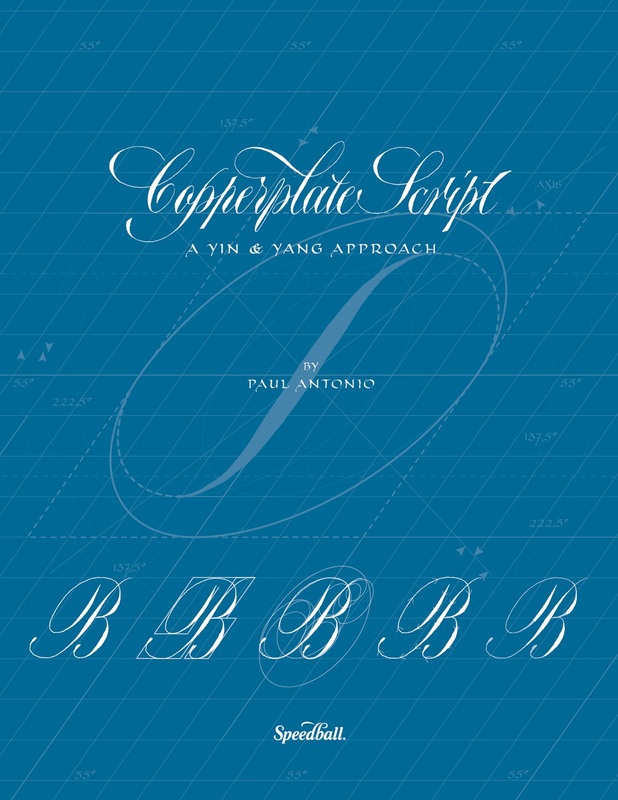 Select from any of the links below to purchase your copy of Copperplate Script: A Yin & Yang Approach and check back often to see as new retail partners are added! Already purchased Copperplate Script: A Yin & Yang Approach? Select from the links below to learn how to utilize the innovative guidelines included within the manual's covers, or get refreshers on the Posture, Placement and Position sections in the book.